This Friday’s endangered species article we focus our attention on the Banteng as its commonly known identified back in 1823 by Dr Joseph Wilhelm Eduard d’Alton (August 11, 1772 – May 11, 1840). Mr d’Alton was a German engraver and naturalist who was a native of Aquileia (today part of Italy). He was the father of anatomist Johann Samuel Eduard d’Alton (1803–1854). He studied in Vienna, and later worked in several locations, including Weimar and Jena. Afterwards he moved to Würzburg, where he worked with embryologist Christian Heinrich Pander (1794–1865). He later taught art history and architectural theory at the University of Bonn, where in 1827 he became a “full professor” of art history. From 1831 to 1840, d’Alton was a member of the Prussian Academy of Arts. One of his famous students in Bonn was Karl Marx. ~Wiki. The Banteng is listed as (endangered) and is endemic to the countries of Cambodia, Indonesia (Bali, Jawa, Kalimantan), Lao People’s Democratic Republic, Malaysia (Peninsular Malaysia – Regionally Extinct, Sabah), Myanmar, Thailand and lastly Viet Nam. Unfortunately the species is now known to be “regionally extinct” within the countries of Bangladesh, Brunei Darussalam and India. From 1986 to 1994 the species was listed only as (vulnerable) however, due to mass deforestation, poaching, habitat destruction and unregulated hunting not forgetting increasing human population the species has since been listed as (endangered) from 1996 to 2000. Recent surveys have since established where localized extinctions have occurred (listed above). Furthermore new observations of this rather unique and stunning wild cattle is still considered to be (endangered) despite new evidence of increasing populations emerging in Thailand. The species historically occurred throughout China in the Yunnan province. Historical data proves the Banteng was present within the Peninsular Malaysia to the islands of Borneo, Java, and probably Bali (please note that in Bali both domestic and wild cattle are known to coexist). There is no evidence that the species originated from Bali due to there being no fossil evidence being located thus far. Some “populations” on the island are therefore classified as (domestic) rather than all wild. A point of concern has been noted from Dr Watling that quoted “interbreeding with domestic Bali cattle is a problem and the population is unlikely to consist solely of pure-bred animals”. Dr Wind and Dr Amir had earlier raised similar fears too back in 1977. The species known to inhabit the island of Bali was introduced and did not originate as explained above. Furthermore the “domestic” Banteng have been introduced into Sulawesi, Sumbawa, and Sumba. Feral Banteng occur in Kalimantan. Introduced Banteng (probably feral animals) occurs on the Indonesian islands of Enggano (off Sumatra) and Sangihe (off Sulawesi). Domestic Banteng has also been introduced to New Guinea and Australia and there are now large feral herds in the Northern Territory. 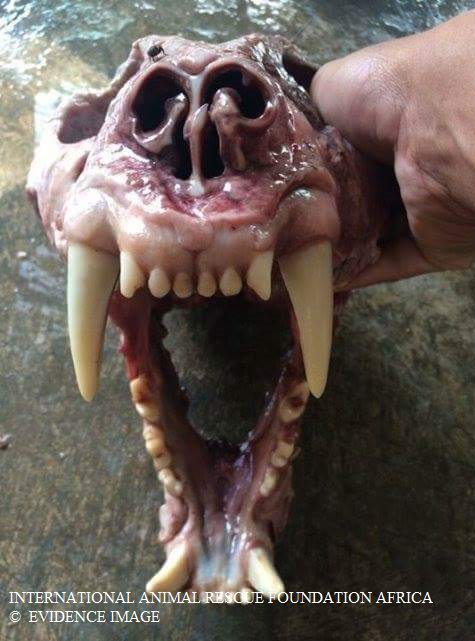 One may have noticed in local Australian hunting magazines, online or within farms in the Northern Territory hunters now paying large sums of money to kill and trophy mount the species within their homes. Despite the “wild” populations suffering and nearing extinction little money from such hunting projects is even provided to conservation organisations and local communities to preserve the species within its native habitat. Wild Banteng are known to live on the island of Bali (please remember not to confuse domestic with wild populations). Furthermore wild Banteng are known to inhabit the island of Java, Kalimantan [Indonesian Borneo], Sabah (although in Sabah extinctions have been noted but not as yet fully confirmed). 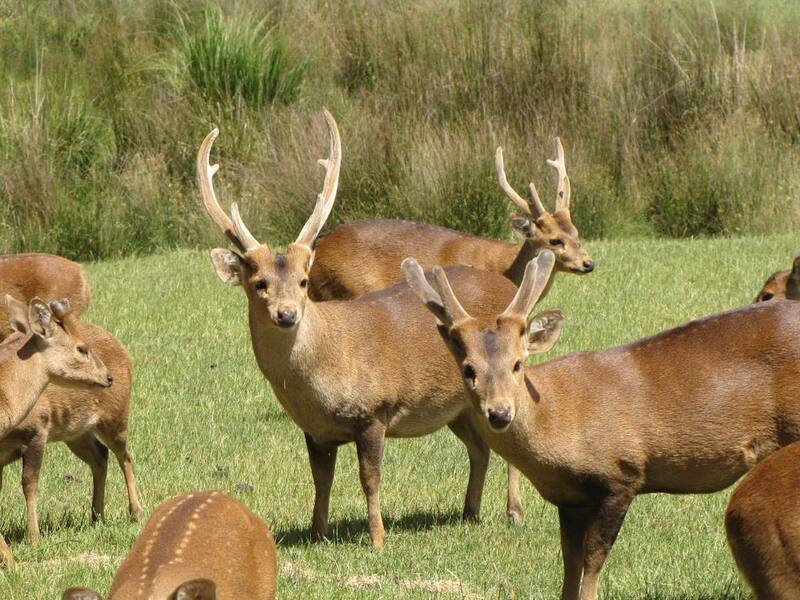 A few populations remain in Sarawak however the species is completely extinct within Brunei. Banteng are extinct within Bangladesh and, in India. There are some conflicting reports that the species never even existed within Manipur (northern India – to note). 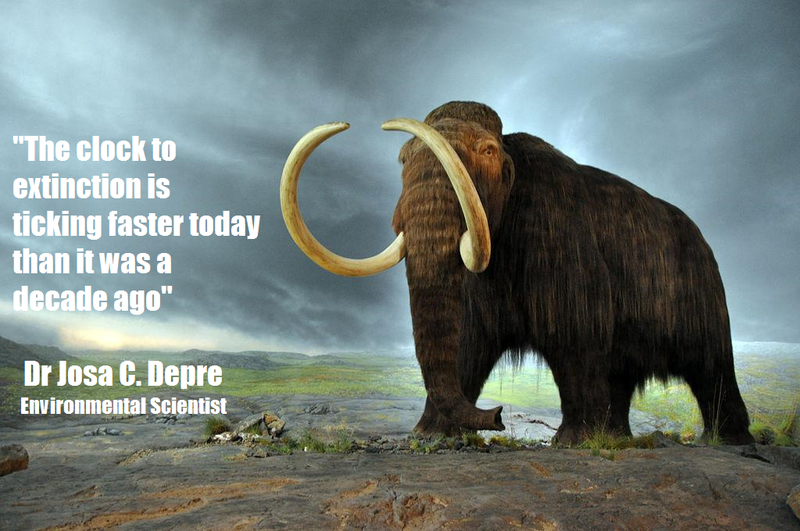 Extinctions have occurred sadly in Western Malaysia since the 1950’s. southeast Yunnan around Tongbiguan Nature Reserve, along the border with Myanmar; however, the source for this is unclear; and presence in China should be considered tentative at best. Its quite likely the Banteng in China is extinct too however this must not be taken as confirmed. We remain open on this case until further proof is made available of populations being present within the range as explained above. The species is still wildly inhabiting within Cambodia, Cardamoms Mountain range, with the bulk of the population remaining in the eastern forests, centered on Mondulkiri Province. The entire “worlds” population is said to be no fewer than 8,000 mature individuals however could be no fewer than 5,000 if that. 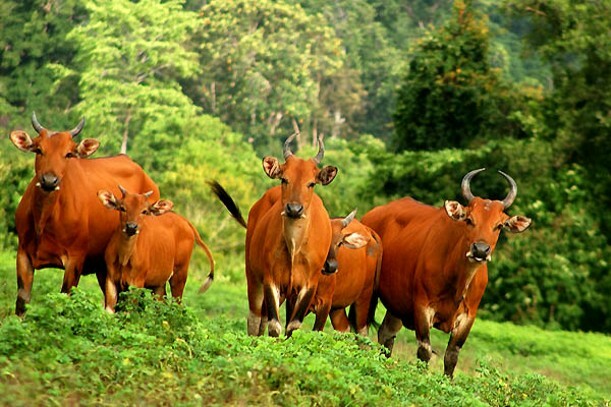 In Cambodia, Banteng probably declined by 90% . 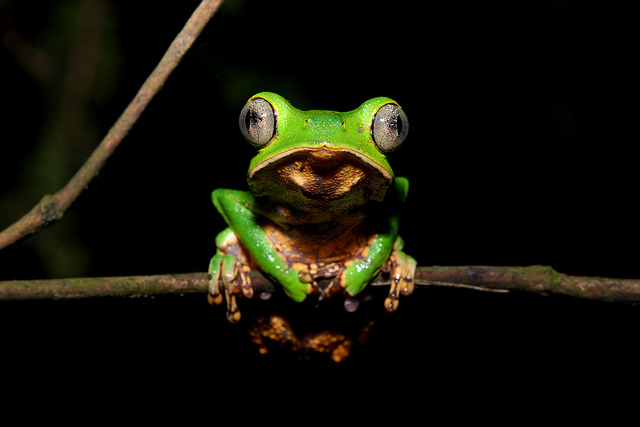 Listed on Cites Appendix II population trends are declining rapidly despite the fact there are some four sub-species and the largest strong hold of sub-populations is on the island of Java. The major threats to Banteng are hunting and habitat loss. In Sabah habitat loss to permanent agriculture is a serious threat, although hunting is equally significant and the species has been rapidly exterminated from many areas there. 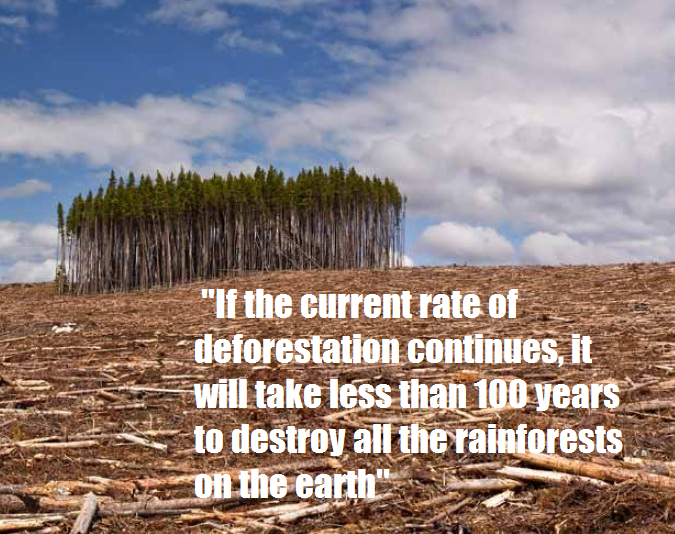 Habitat loss has also been serious in Java since 1998. Elsewhere, hunting is the most widespread and significant threat, and is exacerbated especially in mainland Southeast Asia by human repopulation of lowland forest areas and associated habitat fragmentation, that is, the very areas where most Bantengs occur. 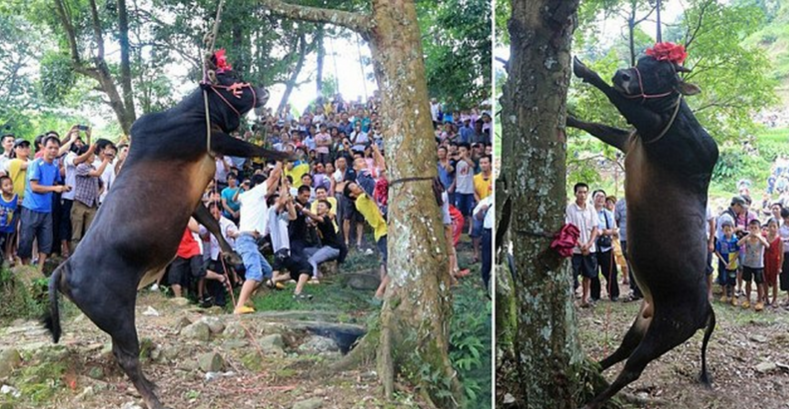 Image: Domestic Banteng are hung to death every year within Baojiang, Rongshui, Guangxi China. The ceremony is yet another listed threat to the species as it also includes wild Banteng that the locals “and foreign tourists” consider non-cruel, a tradition that’s been ongoing for over 500 years. Wild Banteng are considered more important than domestic – of which places a considerable threat to the population despite some conflicting evidence that wild Banteng populations and few and little within China. Nevertheless the species is under immense threat. 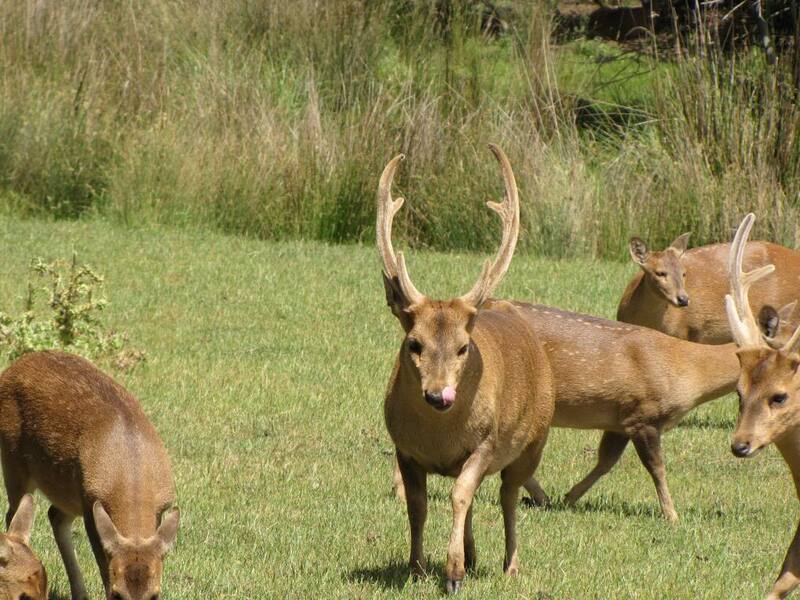 Although huge tracts of suitable habitat were lost in the twentieth century, and continue to be converted, this has probably largely occurred after Banteng have been hunted out. Thus, the hunting is the proximate cause of decline, but habitat loss is continually reducing the maximum population possible if hunting issues were to be controlled. 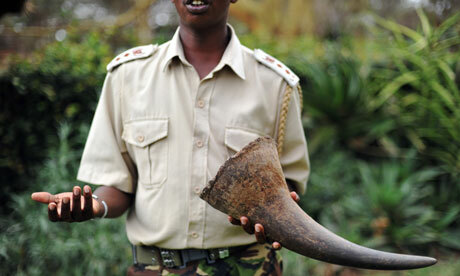 The magnitude of the threat posed to Banteng by international trade in trophy horns is difficult to quantify. 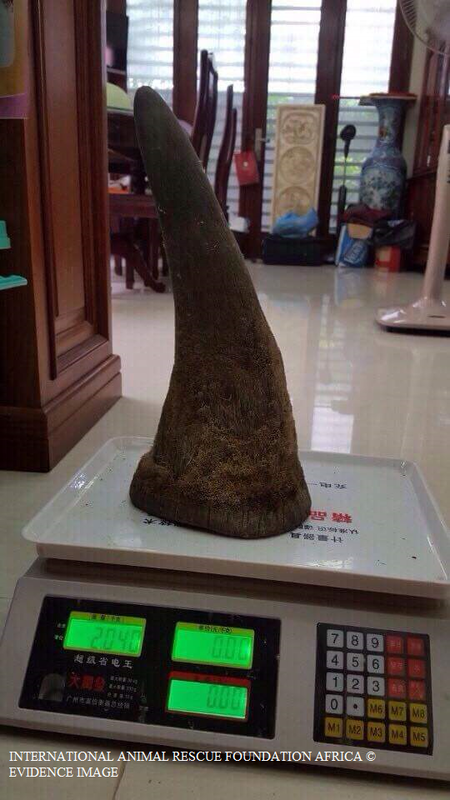 Nevertheless, given the small size of the remaining Banteng population and the number of trophies found for sale in Cambodia, the Lao PDR, Thailand, and Viet Nam, during what were essentially opportunistic surveys, it is clearly a major threat on the Asian mainland. 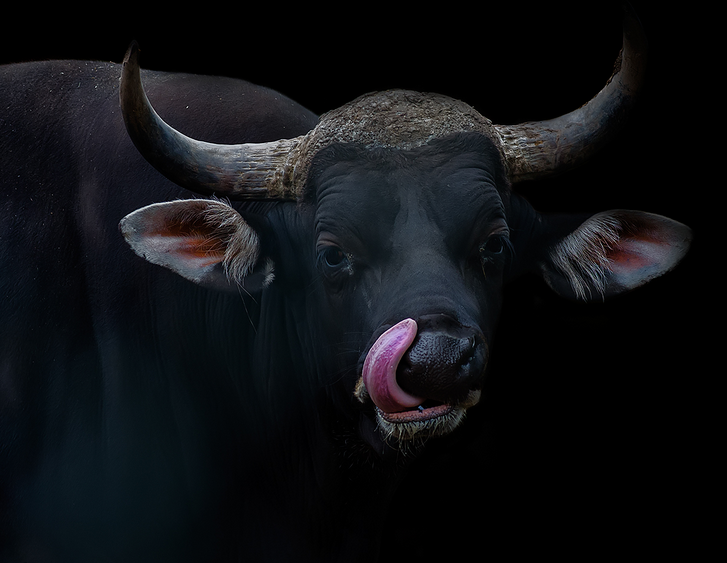 The threat posed by use of traditional medicinal substances derived from wild oxen is even harder to determine in the case of Banteng and essentially remains unknown, although it is thought to be a source of significant threat to Gaur. The most important population in Cambodia is scattered through a forest landscape that encompasses four provinces (Mondulkiri, Kratie, Stung Treng and Ratanakiri) and five conservation areas (Lomphat Wildlife Sanctuary, Phnom Prich Wildlife Sanctuary, Siema Biodiversity Conservation Area, Mondulkiri Protection Forest (including the Srepok Wilderness Area) and Phnom Nam Lyr Wildlife Sanctuary). Hunting is still rife in much of this area, and forest fragmentation is rapidly accelerating with human population in-migration, infrastructural developments (especially roads), commercial agricultural expansion, economic land speculation and mineral extraction. However, although perhaps less than 20% of this area is well protected from the aforementioned threats and protected area management is only close to effective in two areas, the most significant issue concerning the area is the long-term uncertainty of continuation of effective conservation management of the Srepok Wilderness Area and Siema Biodiversity Conservation Area. Although conservation efforts for Banteng and many other species have been, in both areas, extremely encouraging for the last few years, both areas face an uncertain future with the possibility of de-gazettment of conservation status of parts of them, the possible loss of adequate external funding necessary to maintain high standards of management, the possible loss of political support necessary to uphold high protection standards and the uncertainties of maintaining a motivated and well-trained staff. On Java some populations are potentially threatened by heavy predation from Dholes Cuon alphinus (a species I spoke about this Monday). 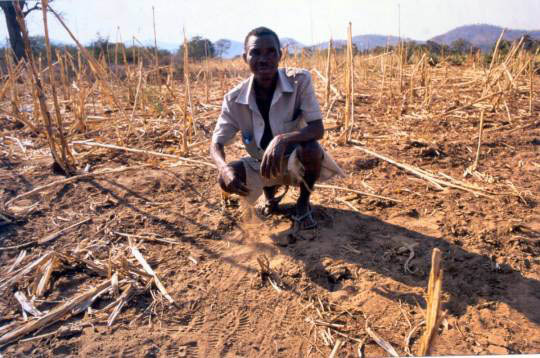 All populations are also threatened by poaching and some, perhaps most, are threatened by habitat loss and degradation. During the 1980s–1990s, when poaching and land conversion were relatively well under control in Javan national parks, the chief threat to the large population of Banteng in Baluran National Park was loss of grazing area to invasion by the introduced tree Acacia nilotica (Leguminosae) that converts open grassland to dense thorny scrub-forest. Image: Introduced into Australia in the last century the species is hunted for sport despite the species being listed as endangered within its native range – very little money is raised for preservation of the species within Australasia. Hunting remains outside of Australia as the major number number one threat pushing the species and sub-species into more decline. This plant was introduced (without adequate risk assessment) as part of an attempt to create a living fire-break around the park’s grasslands, wild fire then being adjudged the major threat to the park’s monsoon forests. Since that introduction, repeated cutting of the acacia has led to coppicing into very dense thickets that contain little or no grass or other herbs and are difficult for the cattle to penetrate. Thus habitat loss and poaching are now serious limiting factors in Baluran National Park, and habitat loss/degradation remains a severe long-term threat to be addressed. Lantana camara (Verbenaceae) is also a problem in Banteng habitat in Baluran National Park and elsewhere on Java. Bali cattle have long been interbred with other cattle: Banteng and Bali cattle can interbreed with both common cattle and mithan (Bos frontalis). Hybrids between Banteng and common cattle (Bos Taurus) of the zebu type are fully fertile; in hybrids between Banteng and Bos Taurus of the European type the males are sterile. Domestic and feral livestock are thus a potential threat to the genetic integrity of wild Banteng populations and a number of reports suggest that wild Banteng does interbreed with domestic cattle. For example, Hoogerwerf (1970) referred to several sources from the 1930s and 1940s which mention that many groups of Banteng in Kalimantan (particularly East Kalimantan) were no longer pure-bred having interbred with stray domestic cattle. Wharton (1957) also found evidence of interbreeding with domestic cattle in Cambodia; and reports from Myanmar mention that Banteng feed alongside village cattle and occasionally interbreed with them. In addition to the genetic threat, domestic livestock are a potential source of diseases and parasites. 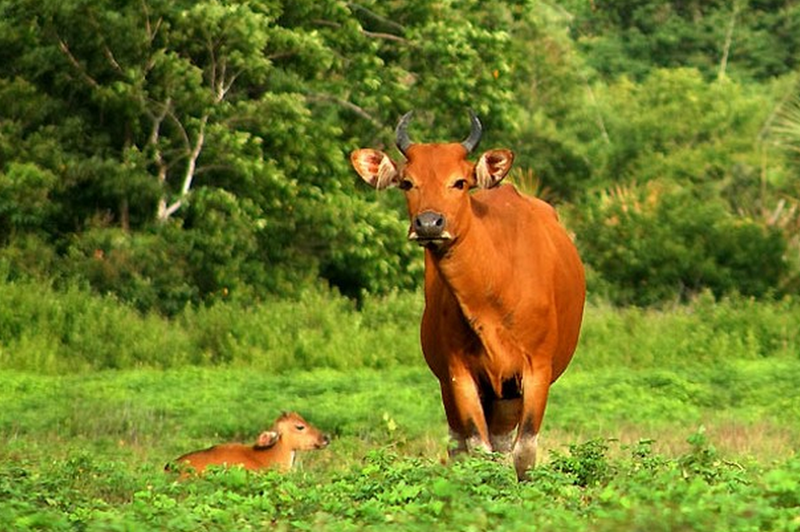 This can have very serious consequences for Banteng which appear to be particularly susceptible to a number of cattle diseases; for example, Banteng populations in Myanmar have been very badly affected by diseases from domestic cattle. Introgression with domestic cattle is not presently an issue in Sabah; there have been imports of Bali cattle mostly by large cattle farms who house animals in feedlots away from wild populations. Ahmad AH is unaware of any instances of deliberate introduction of Bali cattle or other domestic oxen into forest areas, or of any plantation holders that have deliberately introduced their cattle into the range of wild Banteng. Although integration of livestock into oil palm plantation has been discussed for many years, this has not yet been put into practice. In all due respects its quite likely were going to lose the species due to unregulated hunting, controlled over hunting, poaching, traditional medicine trade, habitat destruction and fragmentation, land conversion and agriculture. 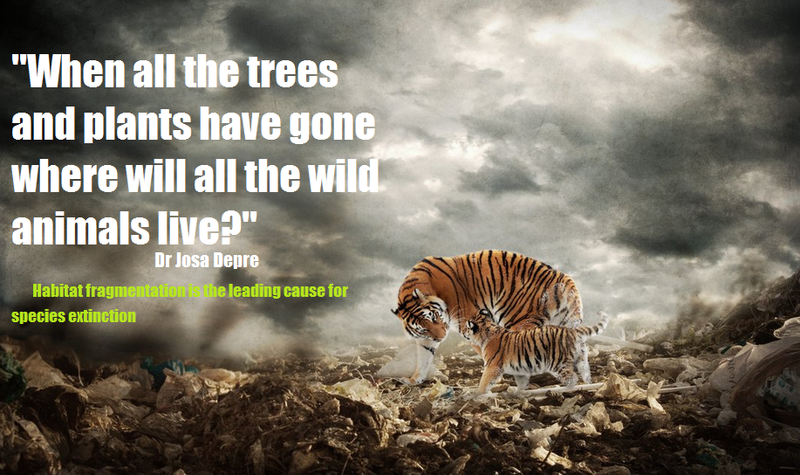 With thanks and much appreciation to the Environmental Team at – International Animal Rescue Foundation Asia.